Learn more about Melissa Essential Oil or find a great deal on the best selling Melissa Oil from the items below! Melissa officinalis, also known as lemon balm, received the name "Melissa" because of its sweet, fresh, citruslike fragrance, which was known to attract bees (Melissa is Greek for "honey bee"). As one of our rarest and most expensive oils, Melissa has a wide range of health benefits and uses. Melissa is used as a flavor in teas and ice cream as well as with some fish dishes. Because of its positive effect on mood, Melissa has long been used to calm tension and nerves. Diffusing Melissa at night initiates a restful sleep and promotes emotional and cognitive health. Melissa helps boost immunity and is especially beneficial when seasonal threats are high. Melissa can also soothe stomach discomfort and help with nausea and indigestion. Add 1-2 drops to herbal tea to soothe indigestion or lessen nausea. Diffuse at night or rub on forehead, shoulders, or chest to lessen stress and promote emotional well-being. Place 1-2 drops under the tongue to boost immunity. Add to moisturizer or a spray bottle with water and spritz on face to rejuvenate skin and refresh the mind. Melissa Leaf commonly known as lemon balm comes from a sweet smelling bushy herb that grows up to nearly three feet high with serrated leaves and tiny white or pink flowers. Melissa Leaf Essential Oil is well known for its anti-depressant and uplifting properties. It is also reported to have uses as an antispamodic bactericidal carminative cordial diaphoretic nervine sedative stomachic sudorific and tonic. Blends well with Citrus oils and floral notes Clary Sage Geranium Lemongrass Lavenders Bergamot Cedarwood Virginia Jasmine Absolute Lemon Marjoram Sweet Neroli Rose Otto (Bulgarian) and Ylang Ylang I. Capacity - 5 ml. Melissa Leaf commonly known as lemon balm comes from a sweet smelling bushy herb that grows up to nearly three feet high with serrated leaves and tiny white or pink flowers. Melissa Leaf Essential Oil is well known for its anti-depressant and uplifting properties. It is also reported to have uses as an antispamodic bactericidal carminative cordial diaphoretic nervine sedative stomachic sudorific and tonic. Blends well with Citrus oils and floral notes Clary Sage Geranium Lemongrass Lavenders Bergamot Cedarwood Virginia Jasmine Absolute Lemon Marjoram Sweet Neroli Rose Otto (Bulgarian) and Ylang Ylang I. Capacity - 15 ml. Melissa Leaf commonly known as lemon balm comes from a sweet smelling bushy herb that grows up to nearly three feet high with serrated leaves and tiny white or pink flowers. Melissa Leaf Essential Oil is well known for its anti-depressant and uplifting properties. It is also reported to have uses as an antispamodic bactericidal carminative cordial diaphoretic nervine sedative stomachic sudorific and tonic. Blends well with Citrus oils and floral notes Clary Sage Geranium Lemongrass Lavenders Bergamot Cedarwood Virginia Jasmine Absolute Lemon Marjoram Sweet Neroli Rose Otto (Bulgarian) and Ylang Ylang I. Capacity - 2 ml. 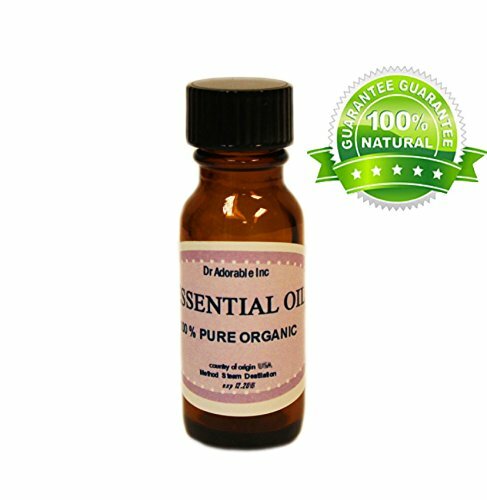 100% Pure Therapeutic Grade Melissa Essential Oil Comes in 10ml amber glass essential oil bottle. European Dropper Cap included. What sets Healing Solutions Essential Oils apart is superior cultivation of ingredients that are the best in the world. Combined with superior distillation and bottling care process, We GUARANTEE that our oils are aromatically superior and more effective than any other oils - if you disagree we will refund your money! The Leading Aromatherapy Associations (Alliance of International Aromatherapists (AIA), International Aromatherapy and Aromatic Medicine Association, Aromatherapy Trade Council, and others) all state that essential oils should not be taken internally (regardless of purity or organic origin) unless under the guidance of a health care practitioner trained at an appropriate level . As such, all of our oils carry a label warning that the product is NOT FOR INTERNAL USE. 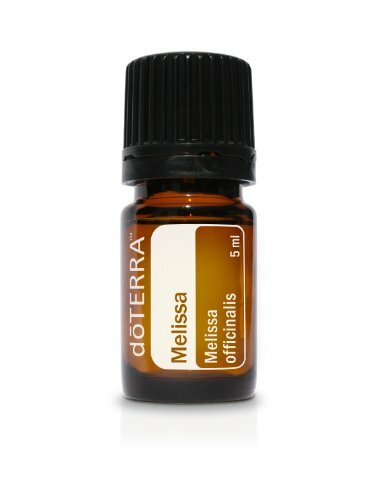 This Melissa essential oil is the real thing! We have been searching for months to find the purest and highest quality Melissa essential oil and we found it! Because Melissa is so sought after, a lot of Melissa essential oil on the market is not even Melissa oil. It is often a mix of Lemongrass and Citronella. Well, not this Melissa! The second you open this bottle of Melissa, you will know why we fell in love. One of the most sought after essential oils, Melissa essential oil, is believed to calm extreme worry, and be uplifting for severe gloom. Extremely useful in dealing with emotions caused from traumatic events, Melissa oil is also very helpful in the cases of many different types of sicknesses. Botanical Name: Melissa officinalis Extraction Method: Steam distilled Aroma: Light, fresh, green citrus Origin: Spain Melissa Leaf Essential Oil is well known for its anti-depressant and uplifting properties. It is also reported to have uses as an antispamodic, bactericidal, carminative, cordial, diaphoretic, nervine, sedative, stomachic, sudorific, and tonic. History Melissa comes from the Greek for 'Honey Bee'. It was used to give comfort and drive away sadness. True Melissa essential oil is most significantly known for being an effective mood lifter. Indeed, just smelling the oil can create an immediate uplift. Melissa essential oil is also known as a nerve tonic because of it's ability to support the body in avoiding and eliminating nervous disorders such as vertigo, nervousness and convulsions. Melissa's sedative qualities support the calming of inflammation, anxiety, nervousness, trauma, shock and insomnia. It is also good for the stomach and digestive system as it aids in healing wounds, scratches or ulcers in the stomach, maintains proper flow of gastric juices and bile into the stomach, and also protects it from infections. Speaking of the stomach, Melissa essential oil is also used as a remedy for bloating, gas and cramping because it can help to expel gases that build up in the intestines by reducing tension in the abdominal muscles. Melissa has also been found to be effective for inhibiting bacterial infections in the colon, intestines, urinary tract and kidney. Melissa supports healthy sweating and detoxification through the skin. It's wonderful for when someone has a fever as Melissa supports "sweating out the toxins". And for those with hypertension, Melissa supports reduction in blood pressure. Issues relating to menstruation and Post Menstrual Syndrome may also be alleviated with the help of true Melissa oil. These include things like obstructed menses, irregular menses, pain and extreme fatigue during periods, untimely menopause, annoyance, and depression after menopause. All of our products are infused with Reiki (healing light energy) and are covered by our 100% satisfaction guarantee. 100% Pure Therapeutic Grade Melissa Essential Oil Comes in a 5ml amber glass essential oil bottle. European Dropper Cap included. What sets Healing Solutions Essential Oils apart is superior cultivation of ingredients that are the best in the world. Combined with superior distillation and bottling care process, We GUARANTEE that our oils are aromatically superior and more effective than any other oils - if you disagree we will refund your money! The Leading Aromatherapy Associations (Alliance of International Aromatherapists (AIA), International Aromatherapy and Aromatic Medicine Association, Aromatherapy Trade Council, and others) all state that essential oils should not be taken internally (regardless of purity or organic origin) unless under the guidance of a health care practitioner trained at an appropriate level . As such, all of our oils carry a label warning that the product is NOT FOR INTERNAL USE. 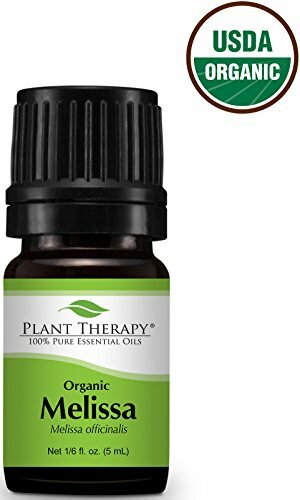 Here we are offering a 10% Dilution of our natural Bulgarian Melissa Essential Oil in Organic Virgin Argan Oil from Morocco. This is diluted enough to be used directly on the skin without irritation for most people, but it still contains the powerful benefits of Melissa Essential Oil. 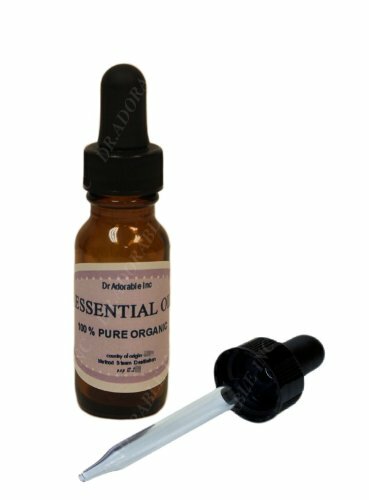 Melissa essential oil (Lemonbalm) is considered one of the most powerful essential oils in all of aromatherapy, and it's also one of the most adulterated oils in the industry...Ours is true Melissa Officinalis from a very reliable source...Please see our Certificate of Analysis in the product photos. 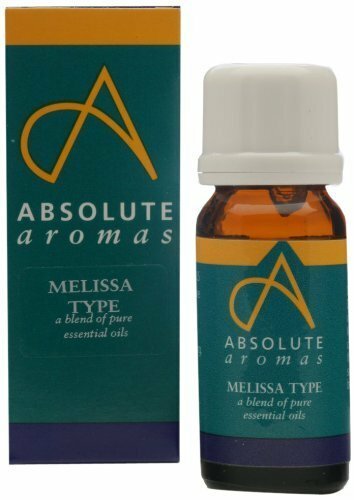 True Melissa essential oil is most significantly known for being an effective mood lifter. Indeed, just smelling the oil can create an immediate uplift. Melissa essential oil is also known as a nerve tonic because of it's ability to support the body in avoiding and eliminating nervous disorders such as vertigo, nervousness and convulsions. Melissa's sedative qualities support the calming of inflammation, anxiety, nervousness, trauma, shock and insomnia. It is also good for the stomach and digestive system as it aids in healing wounds, scratches or ulcers in the stomach, maintains proper flow of gastric juices and bile into the stomach, and also protects it from infections. Speaking of the stomach, Melissa essential oil is also used as a remedy for bloating, gas and cramping because it can help to expel gases that build up in the intestines by reducing tension in the abdominal muscles. Melissa has also been found to be effective for inhibiting bacterial infections in the colon, intestines, urinary tract and kidney. 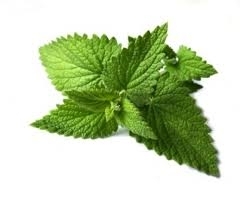 Melissa (Lemonbalm) is considered one of the most powerful essential oils in all of aromatherapy, and it's also one of the most adulterated oils in the industry...Ours is true Melissa Officinalis from a very reliable source...Please see our Certificate of Analysis in the product photos. Melissa Leaf commonly known as lemon balm comes from a sweet smelling bushy herb that grows up to nearly three feet high with serrated leaves and tiny white or pink flowers. Melissa Leaf Essential Oil is well known for its anti-depressant and uplifting properties. It is also reported to have uses as an antispamodic bactericidal carminative cordial diaphoretic nervine sedative stomachic sudorific and tonic. Blends well with Citrus oils and floral notes Clary Sage Geranium Lemongrass Lavenders Bergamot Cedarwood Virginia Jasmine Absolute Lemon Marjoram Sweet Neroli Rose Otto (Bulgarian) and Ylang Ylang I. Capacity - 10 ml.